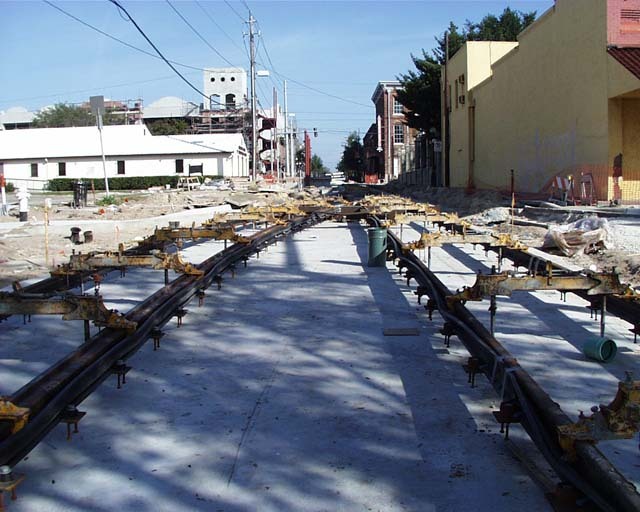 These photos, taken on February 3, 2002, show the substantial progress toward completion of the line later in the year. 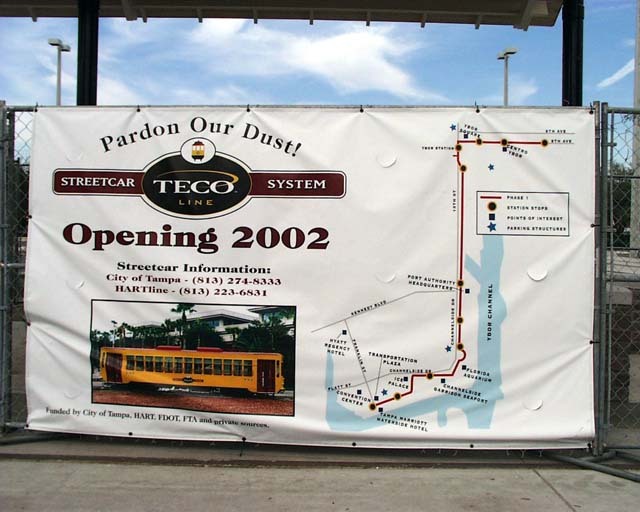 Construction banner for Tampa streetcar line showing map of system and proclaiming opening, now foreseen for late 2002. 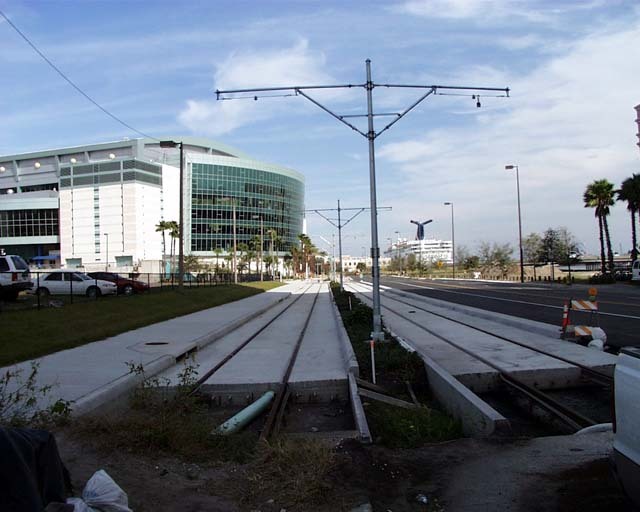 Initial western terminus of the line across from a large Mariiott Hotel and with the Ice Palace in the background. 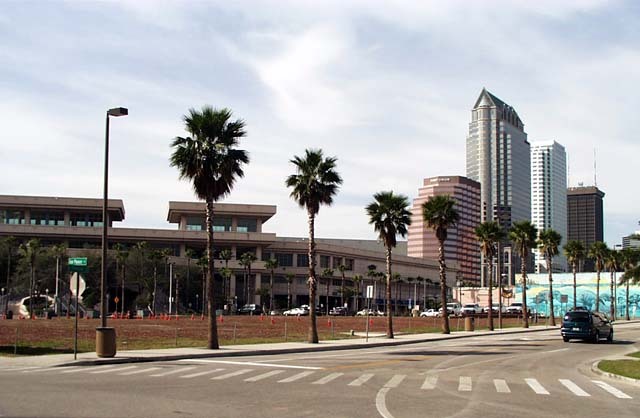 Behind the western terminus is this parcel, planned as a Transportation Plaza. The line will pass through at a 45 degree angle and head into downtown. 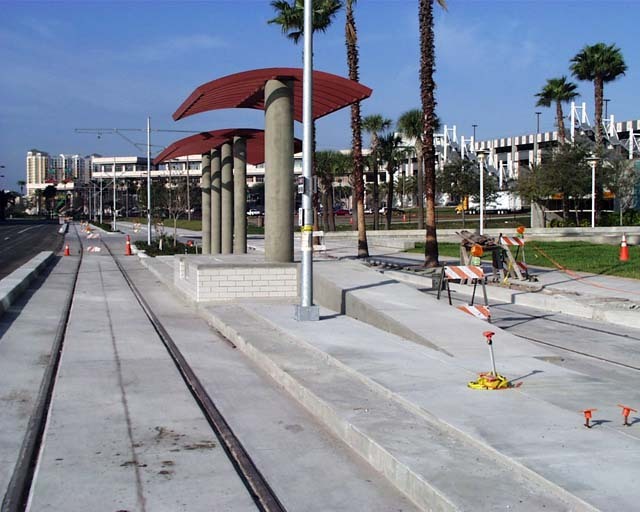 A typical double track station, with the ramp designed to accommodate handicapped accessibility. 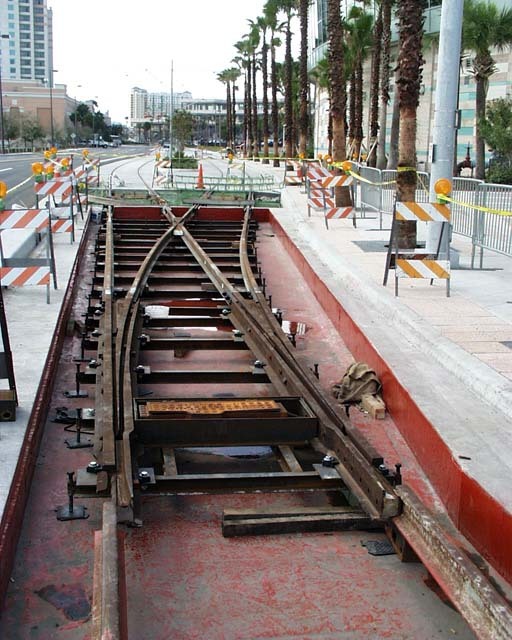 A switch manufactured by Edgar Allen of Sheffield, England is connected to a passing siding. The line passes in front of the attractive Garrison Seaport. 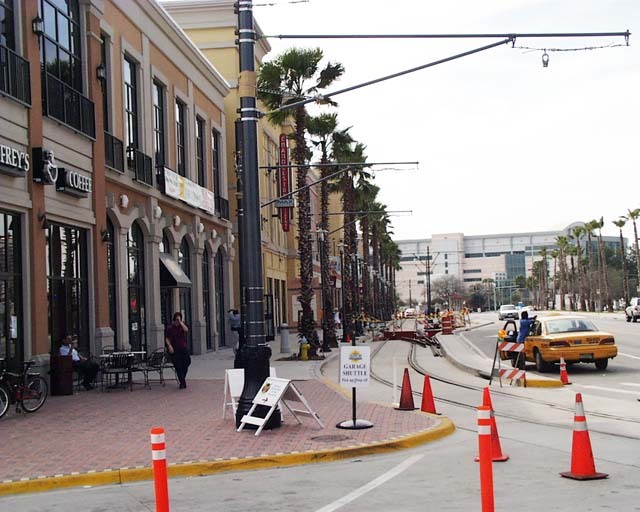 Overhead wire installation is about to begin. 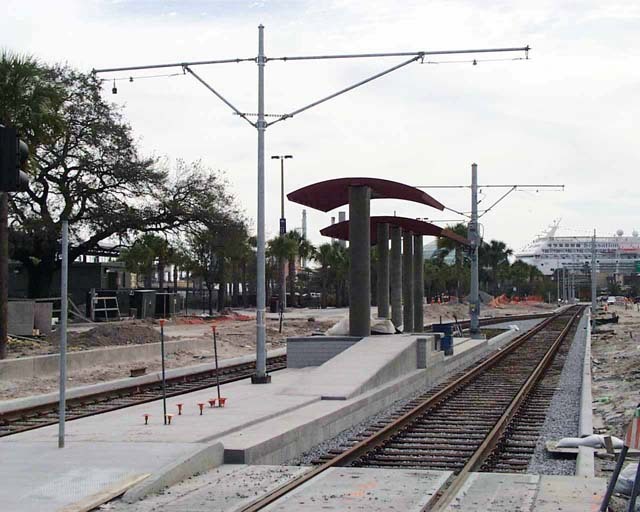 A station along Channelside Drive with a cruise ship in the background. Further cruise terminals are being built to the left of this view. The line will cross a CSX freight track here. CSX demanded an expensive liability policy for this crossing, but settled for a full-time flagman. 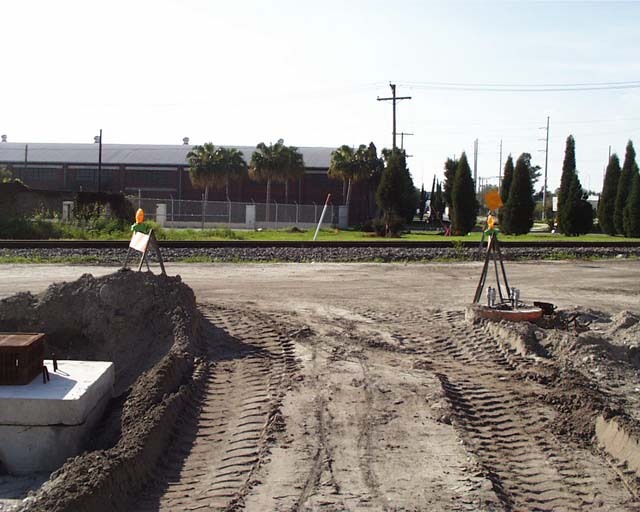 The passing siding and station taking shape in front of the site where the maintenance facility and museum will be built (to the left). 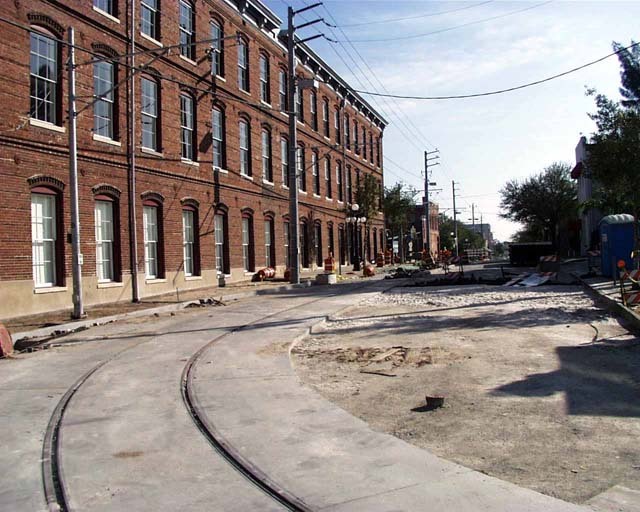 From the maintenance facility, the line negotiates its sharpest curve onto 8th Avenue in the Ybor City historic district. 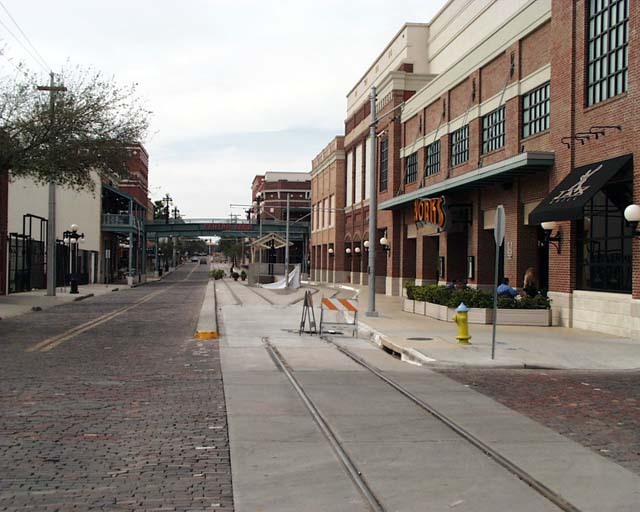 On 8th Avenue, a major stop will be at the new Centro Ybor commercial development. 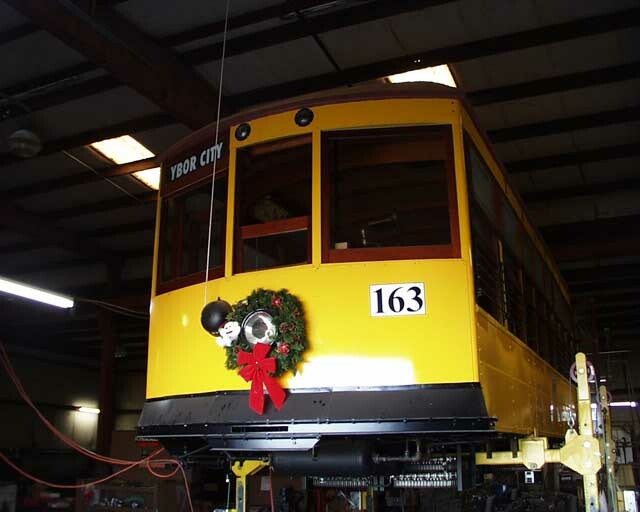 Car 163, an original Tampa Birney, is being completely restored by volunteers for display and special operation on the line. 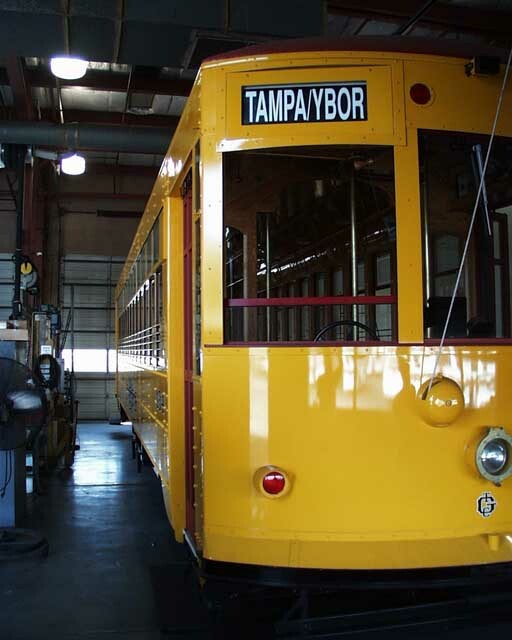 One of the 8 Gomaco-built replica cars awaits service, and is currently stored in HARTline's main bus maintenance facility.